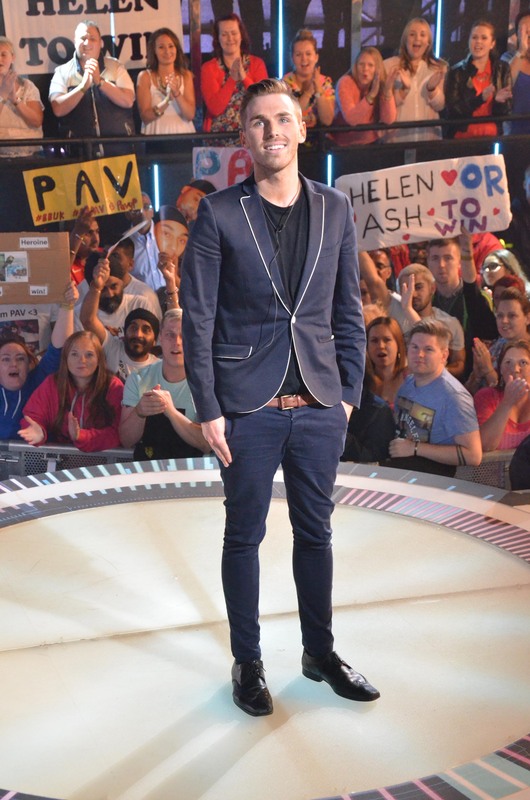 Christopher has finished fourth after receiving the least votes to win out of the three housemates left (Helen, Ashleigh and him) in today´s Big Brother 15 Final. Christopher´s received a good reaction after exiting. Christopher entered the house on day 1 with Helen, Winston, Mark, Steven, Kimberly, Danielle, Matthew, Pauline and Tamara. He was nominated to face eviction 6 times, 4 of them consecutive with a total of 12 nominations. With Christopher´s exit BB15 has made history. Never before has there been a final two consisting of two women. A BB UK first so to say. Emma asked Christopher how he found his experience in the house: ‘I found it a really tense house, we were always on tenterhooks...a lot of feisty big characters in there...lots of very full on strong minded people’. On standing up for himself in the house: “One thing I can do is listen, I would sit back and think a bit more before I’d storm in”. On Mark, Christopher said: ‘He is amazing, one of a kind, it is what it is with Mark, I’d rather has him as a mate...if we continue to fight all the time, he’s still awesome, I’ll see him afterwards, maybe’. On changing his personality towards the end, he said: ‘It wasn’t a conscious decision to say I’m going to start arguing all the time...maybe I thought I’m going to stick up for myself...I wanted top be more upfront with my housemates’.